Please join members of the the Freedom Historical Society at Camp Calumet Lakeside Facility on Wednesday, June 13, for a program at 7 p.m. entitled “Abenaki Who, When, Where and some Whys” presented by Paul W. Pouliot, grand council chief and principal speaker of the Pennacook-Abenaki People (Cowasuck Band). A graduate of the University of Massachusetts Dartmouth, Pouliot is also a religious elder of the tribe, lecturer, Tribal Historian and Tribal Historical Protection Officer. Pouliot’s grandparents were from mixed Wabanaki (Abenaki) and colonial French blood lines dating back into the early 1600s. His family migrated back and forth from Quebec to New England through the generations. As a youth, his father taught him of the ancestral roots of his grandmother and grandfather, both of whom were indigenous, and also taught him the ways of the woods and waters. Among his many accomplishments, Pouliot was a founding member of the New Hampshire Commission of Native American Affairs. The presentation is free and open to the public. For more information, call (603) 539-5799. Holidays don’t simply spring into existence – they’re conceptualized, created, lobbied for, and passed into law by state and federal lawmakers. On this show, we’re looking at the New Hampshire author Sarah Hale, who helped craft the modern traditions of Thanksgiving. Also, a holiday that’s still under construction: Indigenous Peoples’ Day. Go to 25:45 in the podcast to hear a discussion of the grassroots movement to re-envision the misrepresented glorification of Columbus Day as Indigenous Peoples’ Day, honoring those who embody the destructive aims of colonization. 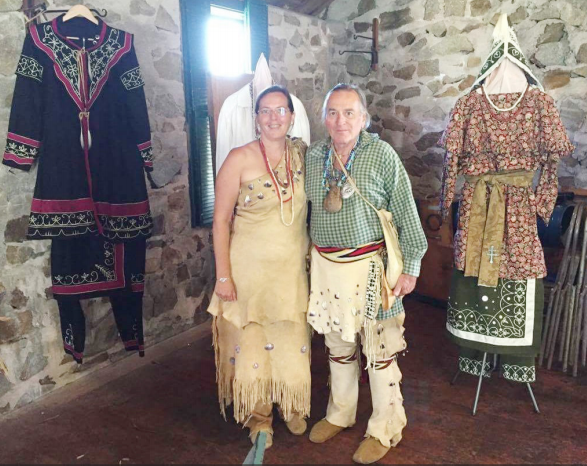 Featured is commentary Denise Beauregard Pouliot of the Cowasuck Band of the Pennacook Abenaki Nation. See and hear the post on NHPR here. We are super excited to welcome back our cousins- Council Members from the Pessamit Innu to New Hampshire to discuss the destruction that the HydroQuebec dams have created on their reservation in Canada. 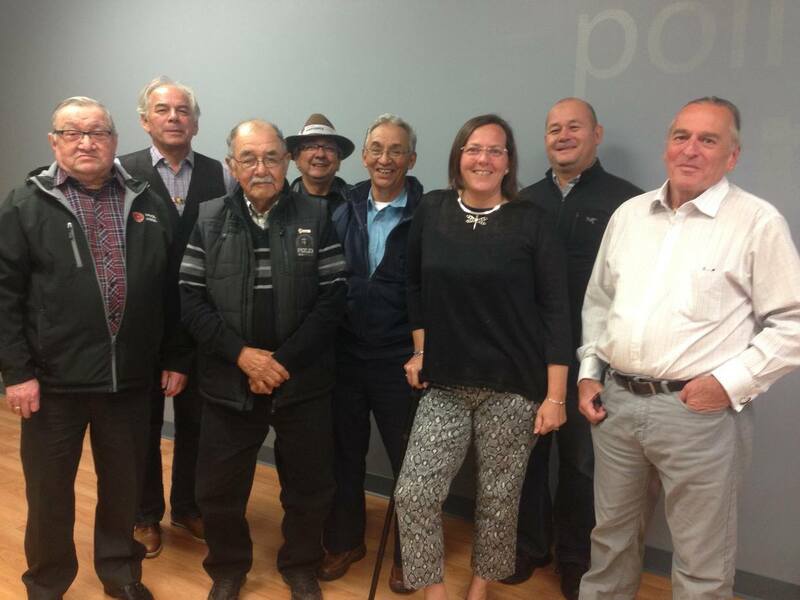 Pictured above is Chief Simon and Grand Council members of the Pessamit Innu and our Sag8mo and Sag8mo Squaw (taken last fall). Cowasuck Band of the Pennacook Abenaki People Chief Paul Pouliot stands for a portrait on a fishing and observation deck along the Winnipesaukee River in Franklin. He is in front the bend in the river by Odell Park, a place he said would have provided indigenous people abundant fishing as well as good grounds for agriculture for thousands of years. Read the full article by Elodie Reed in the Concord Monitor, the first in a multi-part story. An integral part of Native American society is that people are judged not by what wealth they hold, but by what wealth they can give to others. This attitude is clearly expressed by the Cowasuck Band of the Pennacook Abenaki People and its nonprofit social and cultural services organization, COWASS (Coos) North America. As Sagamore (sag- 8mor) of this band, Paul Pouliot and his wife Denise are committed to preserve their culture, traditions, and way of life. 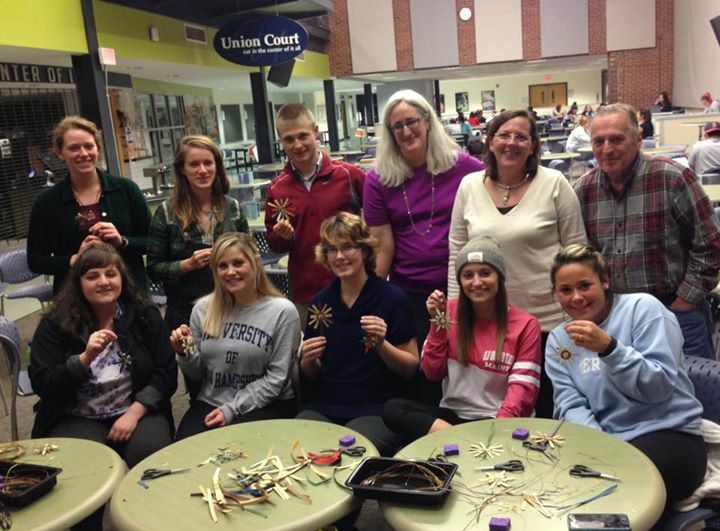 They have spent their time furthering education regarding the Abenaki people. Read Part 2 of the story by Cathy Allyn on page 2 of The Baysider newspaper. This is a multi-part story, so watch for more. There is no typical day in Paul Pouliot’s life. When the phone rings, it might be Homeland Security, a state archeologist, the Department of Justice, a social worker from anywhere in the country, or a museum curator. Is he some sort of government mastermind? A genius academic? A think tank guru? 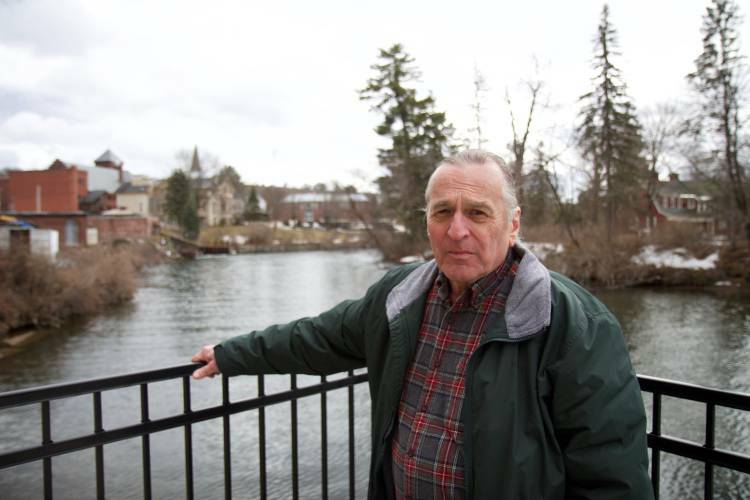 Pouliot’s calling surely has elements of all of those, but quite simply, he is a sagamore, the chief of the Cowasuck Band of the Pennacook Abenaki People. Read the story by Cathy Allyn on page 5 of The Baysider newspaper. This is a multi-part story, so watch for more. PS There’s a nice article on ash splint basketmaking on page 3 also!